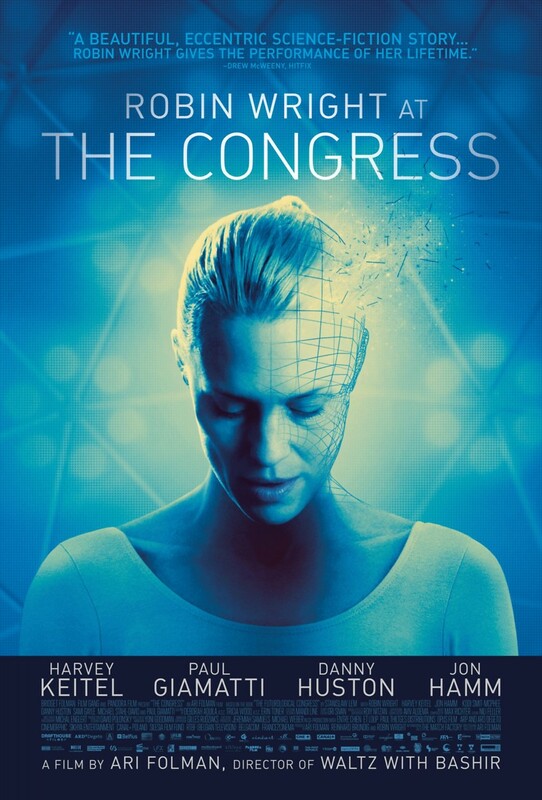 The Congress DVD and Blu-ray release date was set for December 2, 2014. Robin Wright is an aging actress with a reputation of being unbearable to work with. In fact, most studios will no longer offer her roles because of her difficult attitude. The executives at Miramount, however, have a plan. They will pay Robin a great deal of money in exchange for having her body digitally scanned. She will retire from acting while her digital image will star in computer-generated movies. Twenty years later, the Futurological Congress unveils new technology that allows people to transform themselves into any animated character they desire. The studio wants to sell Robin's digital image so others can become her, but she does not believe people should be turned into products. Her stand against this, however, could have deadly consequences.